Dexter the dinosaur and Pearl the cavegirl are the very best of friends. There's just one problem . . . Dinosaurs and Humans are not allowed to play together! Instead the two tribes can't stop bickering and squabbling. (No one remembers why. That's just the way it's always been.) But, when disaster strikes, can Dinosaurs and Humans learn to work together? 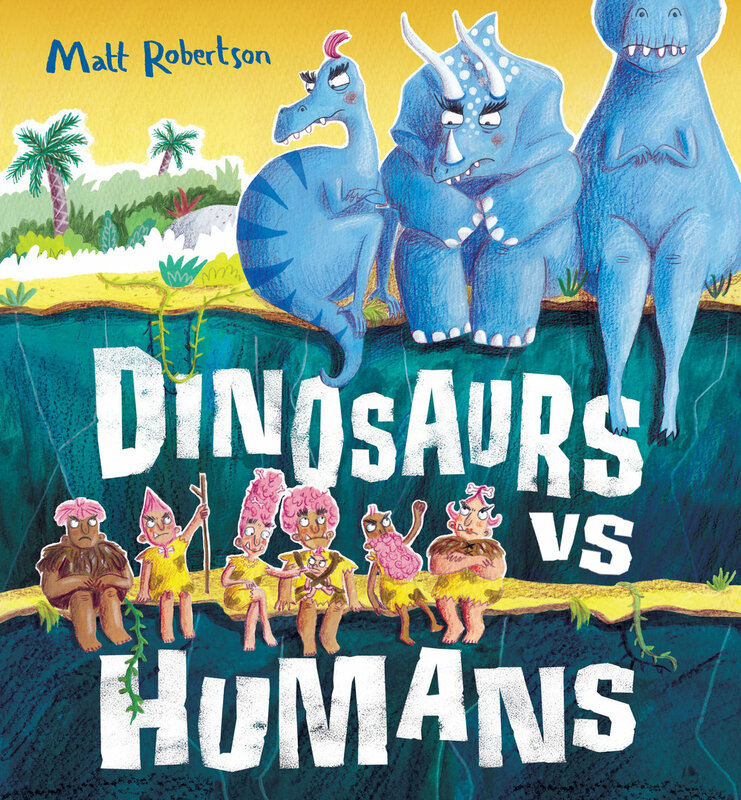 A rhyming prehistoric adventure about friendship, community and celebrating difference. Someone is threatening New York's number one figure skating champion and there's only one way to find out who: Shelby Holmes and John Watson are going undercover. Can the dynamic duo crack a devious code before the culprit realises that they aren't the pro skaters that they claim to be? Being friends with a super sleuth isn't easy, especially when she's nine years old and four feet tall. But for 11-year-old aspiring writer John Watson, being friends with Shelby Holmes is just the adventure he's looking for. In the few weeks since moving into Harlem with his mum, Shelby has been training John in the art of observation – a skill that comes in handy on the very first day of school. John's new teacher, Mr Cobb, is acting suspiciously, and Shelby knows this is a mystery worth investigating. Something important has gone missing, but as Shelby and John dig deeper into the mystery of the Cobb caper, they discover that there may be someone unexpected involved. Could Shelby Holmes have finally met her match? A warm and funny story about a boy who hates having to choose! From one of the nation's favourite children's authors, former Children's Laureate Anne Fine. Perfect for children learning to read. Green shirt or blue shirt? Feeding the ducks or going on the swings? Olly finds it so hard to make decisions! But then he's given a strange object that might just be the answer to his problem. How to Write Poems is packed with exciting activities to get your pen flowing! Make poems out of leaves, carve out a mud poem, go on an outdoors simile hunt, and play poetry games in the playground. Whether you already write poems, you've never written before, or you're not even sure what a poem is – this is the book for you. Full of useful tips and starting points, How to Write Poems will make you chuckle, make you think, and inspire you to write your own poetry. Join popular poet Joseph Coelho as he explores a mind-boggling selection of poetry: from laughable limericks to poetic puns, and from ridiculous rhymes to silly sibilance. Pick up this book, grab a pen, and get going! Mr Moot lives a quiet life with his cherished pet, Fluffywuffy, by his side. He isn't troubled by neighbours, or mice, or even the postman... But when an uninvited guest comes to visit, Mr Moot finds himself kept awake every night. If it's not the sound of drums, then the noise of chainsaws and even motorbikes comes from the living room below. Luckily for Mr Moot, Fluffywuffy has a solution for how to deal with his (unlucky) guest! A fantastic read-aloud story with an irreverent twist that young readers will love. always using logic and a bit of pluck (which yes, some might call bossiness ) to solve the toughest crimes. When eleven-year-old John Watson moves downstairs, Shelby finds something that s eluded her up till now: a friend. The easy-going John isn't sure of what to make of Shelby, but he soon finds himself her most-trusted partner in a dog-napping case that'll take both their talents to crack. If Luka could have anything in the world for Christmas, it would be to see Buddy again, his red and grey mongrel with one floppy ear. But Buddy has been missing for months. Life can be hard when your little brother is a superhero. The whole world thinks Super Stan is AMAZING . . . but no one notices his big brother, Jack. But sometimes, even a superhero needs a little help. And when a superhero is in trouble, only a SUPER big brother can save the day. Two books illustrated for OUP Australia for an independent reading scheme. Mum, Dad, Harry and Nana are at their wits’ end. How can they prove to Toby that there are no monsters under the bed, so that they can finally get some sleep? Will a new bicycle help? Or does this call for something completely different...? My first published book illustrating the poems of Valerie Bloom.